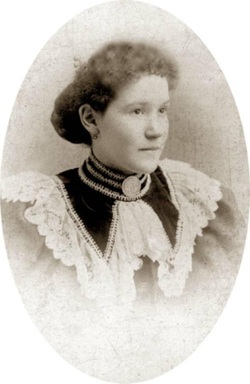 Janet, named for her mother was born August 24th 1877 in Toronto, Ontario. She was the eighth child of John McEwan and Janet Stevenson. I remember her being referred to as Jessie but most often she was called “Toots”. Janet married Edward Joshua Walker (1873 – 1934) on June 8th 1898 in Toronto, Ontario. Joshua worked on the Board of Assessors for the city of Toronto. Toots and Edward had three children; Frank Leslie (1899 = 1981), Viola Mabel (1901 – 1930) and Mildred Ethel (1903 – 1903). All were born and raised in Toronto and were buried at St-John’s Norway Cemetery and Crematorium, Toronto, Ontario. Janet McEwan died in Toronto October 6th 1963. She and her whole family are all buried at St-John’s Norway Cemetery and Crematorium, Toronto, Ontario. Aunt Toots was an aunt my mother spoke of often and she was a witness at Mabel’s wedding in 1927. Mabel only lived three years after her marriage. She apparently died in childbirth. Other family members have mentioned "Toots" place in Presqu'ile Point. I do know that my mother went there with her Aunt Edie when she was young. * There is some mention of another child Valda but I am unable to find any evidence of her other than the name. Perhaps Valda was Mabel's child.